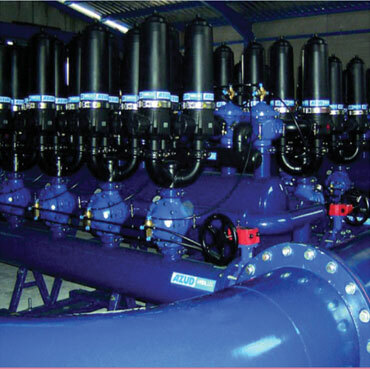 The LP Systems are designed for systems that have a low working pressure. 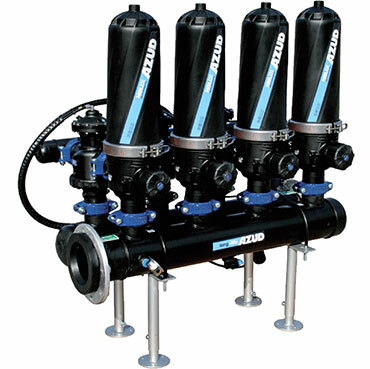 Apart from the 3 way valve used on the standard AZUD HELIX AUTOMATIC system, a second valve is included for each filtration station. A common manifold connects them. 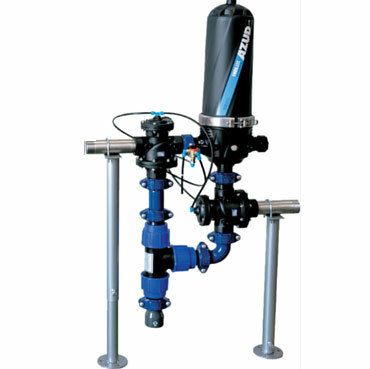 This equipment is designed specifically to handle high concentrations of dissolved salts in water. 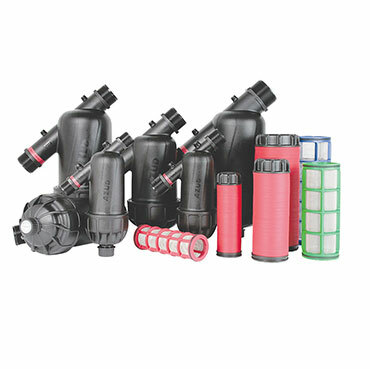 Internal and external parts of the filter incorporate compatible components to withstand usual conditions in this type of application. 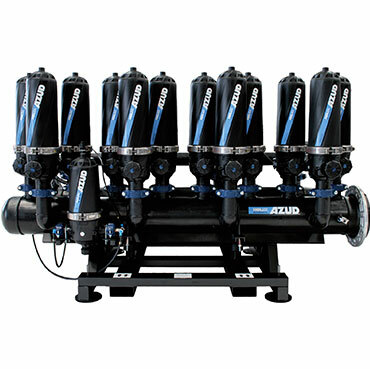 This equipment allows the use of Disc Filtration in applications where minimal water loss is desired. Incorporating air in the backwash process decreases the amount of water used in the backwash process by about 80%. 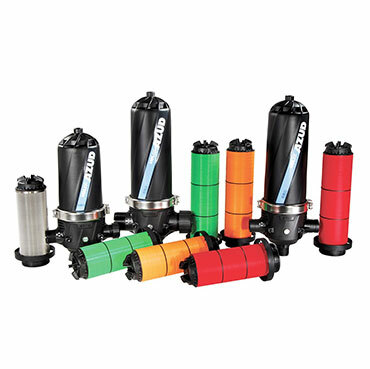 This equipment supplies the same filtration quality as the standard disc filter, with the ability of working with pressures from 3-16 bar (45-230 psi). All the manifolds, base, lids, and connection pipes are made of metal. 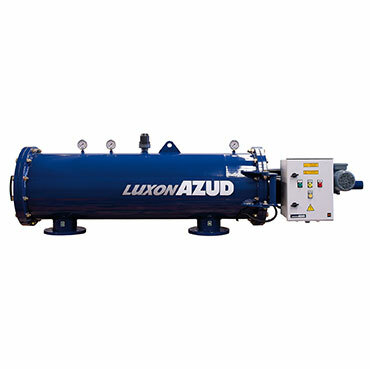 The control unit incorporates a differential pressure gauge and a second pressure gauge controlling the maximum pressure which offers auxiliary protection under working conditions outside of the recommended parameters. D50B*D55B - D50 Rotor series • A full 4-inch pop-up clears tall turfgrass for even coverage. • Stainless-steel riser resists damage and vandalism. 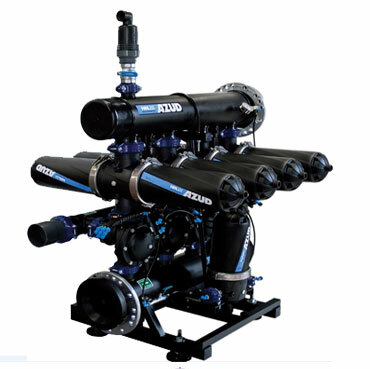 • Special design eliminates blow-by and reduces pressure loss to improve system performance. Resistant Material The screen is made of high quality stainless steel which is very resistant to corrosion.